The Freep Film Fest, hosted by the Detroit Free Press and Michigan.com, wrapped up yesterday evening with a showing of 12th & Clairmount. The documentary shares the story of the July 1967 uprising in Detroit, told exclusively through archival home videos, news footage, and oral histories. Four sold-out shows throughout the weekend drew audiences diverse in demographic makeup and personal connection to the tumultuous summer. It was refreshing to be a member of an audience that closely resembled Detroit’s demographics in a film relevant to our lives in this city today. 12th & Clairmount is powerful. 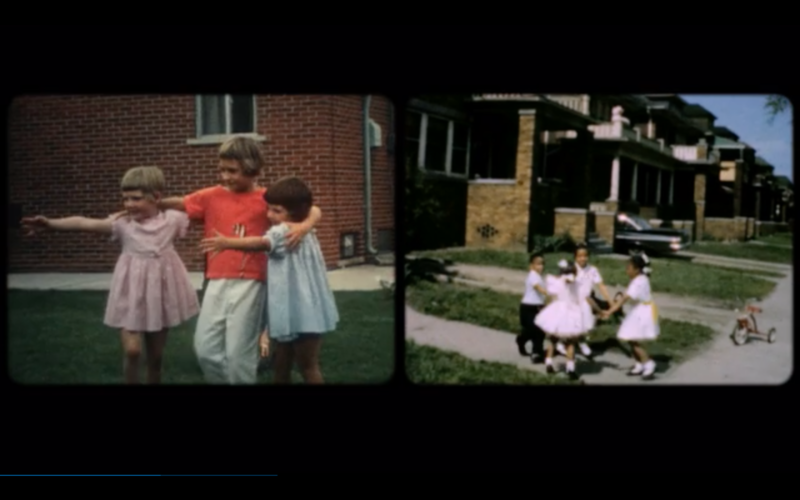 Its choice to visually immerse the audience exclusively in 1967 footage is atypical in documentary film, and keeps viewers engaged in 1967 Detroit. This visual is paired with reflective, anonymous oral interviews that contribute to a wholistic perspective of the events. I left feeling invigorated to learn more, but weary of the similarities between 1967 and 2017 Detroits. I attended screenings of Citizen Jane: Battle for the City and a series of short films about Flint’s water crisis, too. The Jane Jacobs documentary fueled my understanding for community engagement as a necessity of any design process. It reinforced the value and impact of equitable, well-designed public space in cities. My admiration and respect for Jane Jacobs certainly grew. The films about Flint sparked anger about systemically reinforced injustice in communities of color. They provided me with personal windows into the reality of lives that the national media has quickly forgotten. It is easy to get swept up in the pervasive hope and rapid change that electrify Detroit today. Hope, optimism, excitement–these feelings are easy to follow because they feel good. But consequences often follow “innovative, resurgent, creative” change, and we cannot let our enthusiasm blind us from addressing OR deepening complex problems whose solutions demand patience and persistence. The conflicts that erupted fifty years ago–the socioeconomic and racial tensions in the city of Detroit AND the consequences of imaginative, modern city planning schemes–feel a bit too familiar. Let us be wary, thoughtful, and thorough amidst our excitement, creativity, and leadership in this city. May we learn from and never repeat these painful histories as we travel down a road with signs quite similar to ones we’ve seen before.